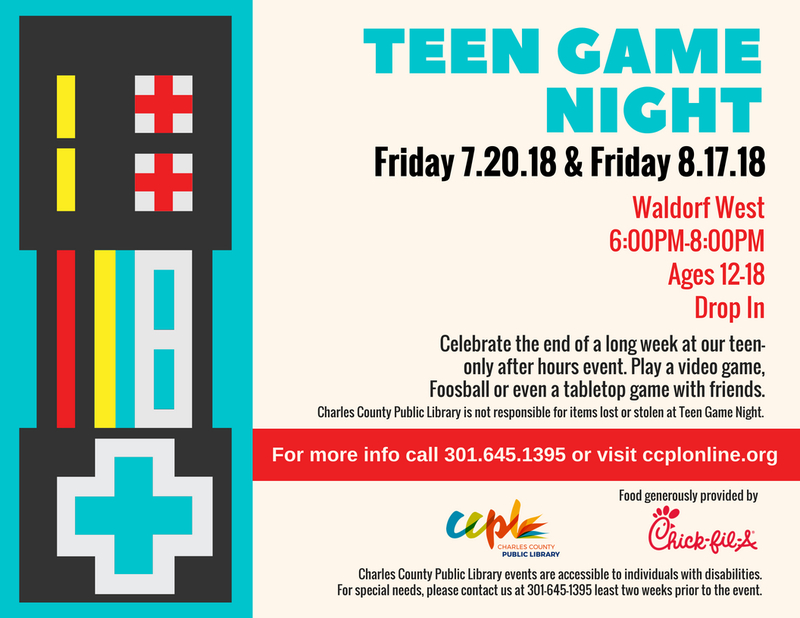 Celebrate the end of a long week at our teen-only after hours event. Play a video game, Foosball or even a tabletop game with friends. Complimentary snacks provided by Chick-fil-A. Beverages can be purchased at our vending machine for $1.50 (please bring exact change).